Video clip synopsis – The Indonesian province of Papua has a turbulent history and rich culture. Yet it remains largely unknown. Broadband MP4 forgotten_bb.mp4 (11.2MB), suitable for iPods and computer downloads. The Forgotten People is an excerpt from the documentary Land of the Morning Star made in 2003. The western half of the island of New Guinea has been known by many names including Netherlands New Guinea, West Papua, Irian Jaya and Papua. Narrated by Rachel Griffiths, Land of the Morning Star reveals the rich and turbulent history of a troubled country, swept up in the power-play of international politics. It highlights the role of the Netherlands, the United States, Australia, Indonesia and the UN at crucial points in the country’s history. And, by providing a background to this complex story, helps us understand this extraordinarily beautiful but strangely forgotten land. For students of VCE International Politics, this video clip offer a study of European colonisation alongside a study of regional and global events that changed the course of Papua’s history. Investigate concepts including power and authority representation, legitimacy, political ideologies and political structures. Interpret and draw conclusions from information gathered from print and electronic sources. The western half of the island of New Guinea has been known by many names including Netherlands New Guinea, West Papua, Irian Jaya and Papua. It is an extraordinary place where snow-capped mountains drain into massive rivers and 250 languages are spoken. Yet, despite its wild beauty and rich culture, it has been largely forgotten. The population of Papua is approximately 2.1 million; most live on the coast. The indigenous people are Melanesians who have lived in there for over 5,000 years. European colonisation saw the Dutch secure their claim to the entire island by the mid-1800s. In 1949 the Netherlands granted independence to the colonised peoples of the former Dutch East Indies; West New Guinea however, was retained as a colony by the Dutch. In the 1950s the Dutch prepared the territory for independence. On 1 December 1961 an elected People’s Congress adopted the Morning Star flag in a declaration of independence from the Dutch. In 1962 Indonesian forces invaded Papua to take control from the Dutch. The Dutch and local forces successfully resisted the invasion, but when Indonesia turned to Russia for support, Cold War fears led the US government to force the Dutch to accept Indonesia’s claim. 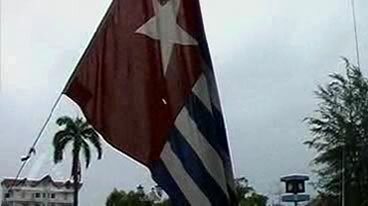 Indonesia’s claim to Papua was confirmed by the New York Agreement of 1962, with the indigenous Papuans having no say in the agreement reached. This agreement was confirmed by a controversial Act of Self-Determination by the United Nations in 1969. Indonesian President Sukarno declared the area the 26th province of Indonesia. Today, despite protest, Papua continues to be an Indonesian province and is regarded as such by the Australian Government. Describe the historical and political contexts that have led to the situation in Papua today as shown in the video clip. Political ideology refers to the manner or way in which leadership of a country is enacted in practice. Using the study of Papua, describe the political ideology of the Papuan independence leaders. Choose three scenes from the video to explain concepts of power, authority and political structures. From these scenes develop explanations for the underlying values contained therein. Using the case study of Papua, construct a chart to compare the political structures and political ideologies to the Australian political system over the past 50 years. In your comparison, comment on the concepts of power and authority, democracy, representation and participation. For interview transcripts, books and references for this Digital Resource go to Pacific Stories, choose Land of the Morning Star, select INDEX, and go to MORE INFORMATION.